Back by popular demand, the “hottest Irish acoustic group on the planet”, Lunasa, returns to Centenary Stage on March 24th at 8pm in the Lackland Performing Arts Center. Since the release of their 1997 recording debut and their first US tour, the quintet has become one of the most popular bands on the international Celtic music scene. They play a diverse section of music, including their own compositions and melodies from Celtic regions, including Brittany, Galicia, Asturias, and Scotland. The music is made on a mix traditional instruments like the pipes, fiddle, and flute, and supported rhythmically and harmonically by a bass and guitar to give it a modern twist. Their arrangements and musical approach has propelled Irish acoustic music into new territory, allowing it to explore the combination of new and old. An Clar School of Irish Dance will be joining Centenary Stage Company for pre-show entertainment to be held in the lobby of the Lackland Performing Arts Center prior to the concert. Beginning as early as 7:15 pm dancers of the An Clar School of Irish Dance will present Irish dances. An Clar School of Irish Dance is under the instruction of Lexa Hickey, ADCRG (7 – time Regional Champion, multiple top 5 $ top 10 National, All Ireland & World Championships medal holder, former Riverdance troupe member). An Clar dancers have competed at local, regional, national & international level competitions, as well as performed around the local area for many events and bands. They also offer classes for ages 3 & up and are located on Rt. 206 in Byram, NJ. For more information about An Clar School of Irish Dance visit anclarschool.com. They can be contacted at anclarschoolofirishdance@gmail.com or by phone at (973) 347 – 0523. Lunasa on Mar 24th at 8pm in the Sitnik Theater of the Lackland Performing Arts Center, are $30.00 for adults and children. Ticket prices increase $5.00 on the day of the performance. For more information or to purchase tickets visit centenarystageco.org or call the Centenary Stage Company box office at (908) 979 – 0900. The box office is located in the Lackland Performing Arts Center; 715 Grand Ave. Hackettstown, NJ. The box office is open Monday through Friday from 1 – 5 pm and two hours prior to each performance. 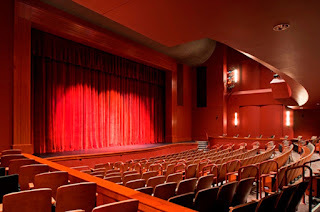 The 2017-2018 season of performing arts events at the Centenary Stage Company is made possible through the generous support of the Geraldine R. Dodge Foundation, the NJ State Council on the Arts, the Shubert Foundation, the Blanche and Irving Laurie Foundation, the Sandra Kupperman Foundation, Zonta Morristown Chapter and CSC corporate sponsors, including Premier Season Sponsor Heath Village Retirement Community, Silver Sponsors Hackettstown Medical Center, Home Instead Senior Care (Washington), The House of the Good Shepherd, and Fulton Bank of New Jersey, and Centenary Stage Company members and supporters.